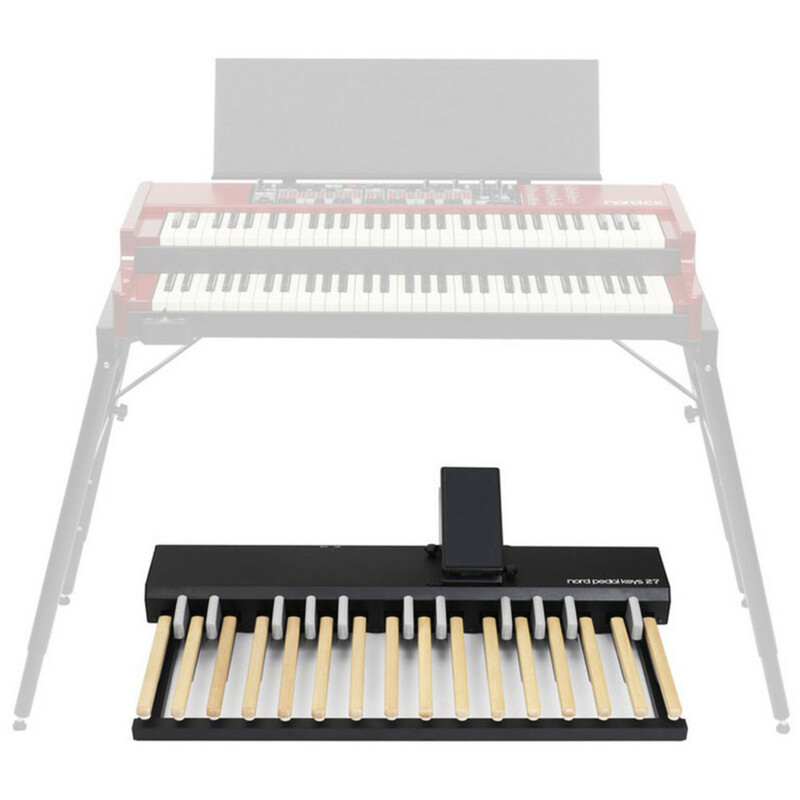 The Pedal Keys 27 is a MIDI pedal board with 27 keys, equipped with an integrated swell pedal. 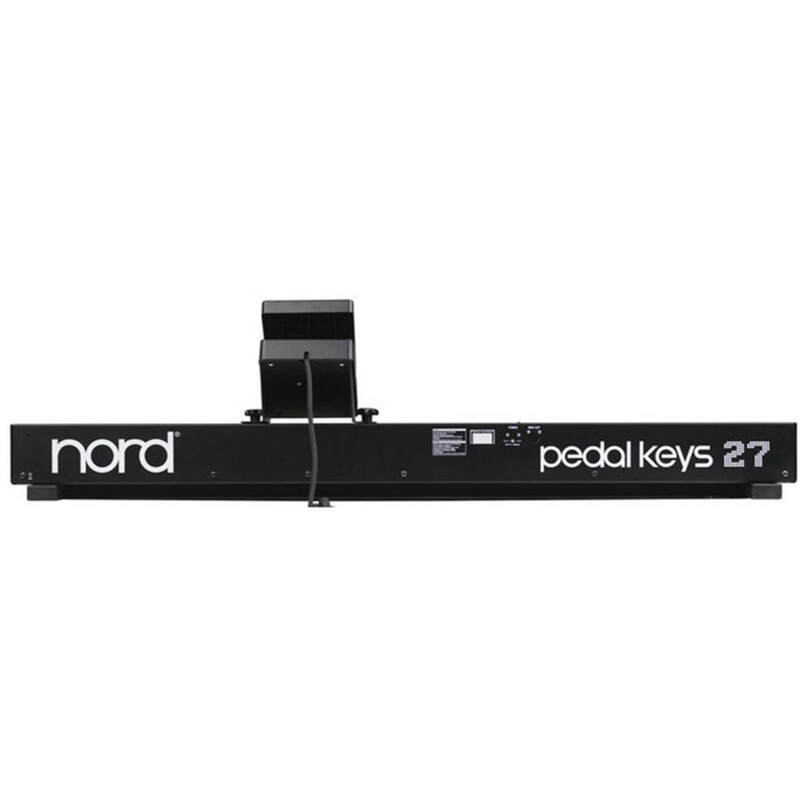 Housed in a sturdy aluminum chassis, The Nord MIDI Pedalboard is both lightweight and rugged. It communicates via MIDI and can be used with other MIDI compatible equipment. 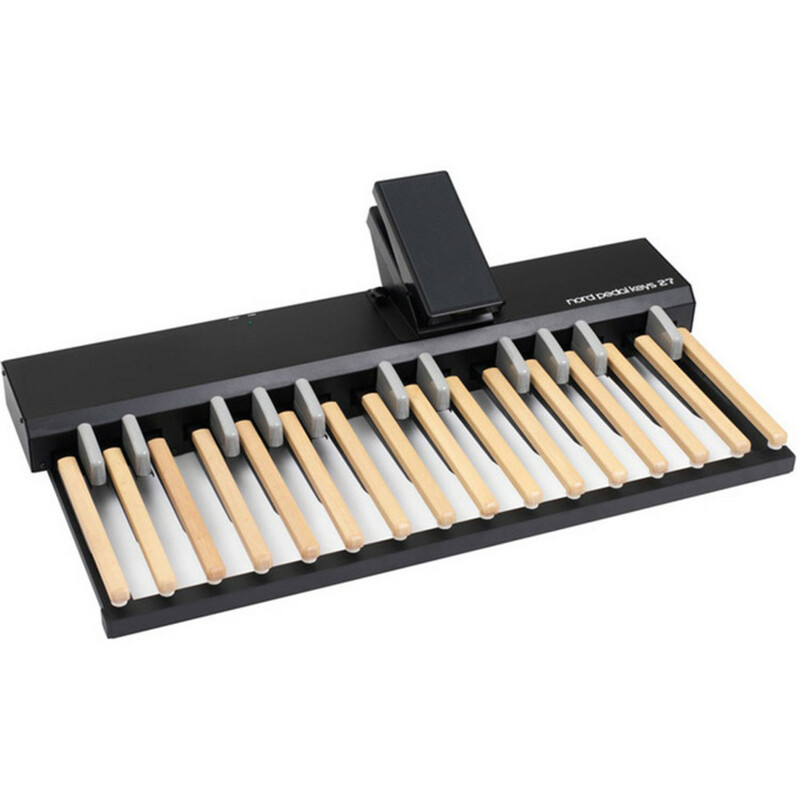 The long keys have a wooden finish and a length of 350 mm (13.8"), making them perfect for using the toe-heel technique whilst playing. Colored in grey, the short keys offer better visibility even in a very dark environment.